The candles are lit, the altar is set, and the sweet scent of incense fills the air. Joyfully anticipating your arrival, we’ve already thrown open the doors of our Temple Sanctuary! This is your loving invitation to join in our vibrant community of like-minded Goddess people. Together we practice Goddess worship within a matriarchal structure, allowing all to flow from the Divine Mother, She Who is the Source of All. All people who embody integrity and love are welcome here. Our foundation is a synthesis of Goddess Spirituality woven together with the myriad experiences of our Priestesses, and combined with the blessings and gifts brought forth from all of their teachers as well as the energetic contributions of each Celebrant during our sacred rites. 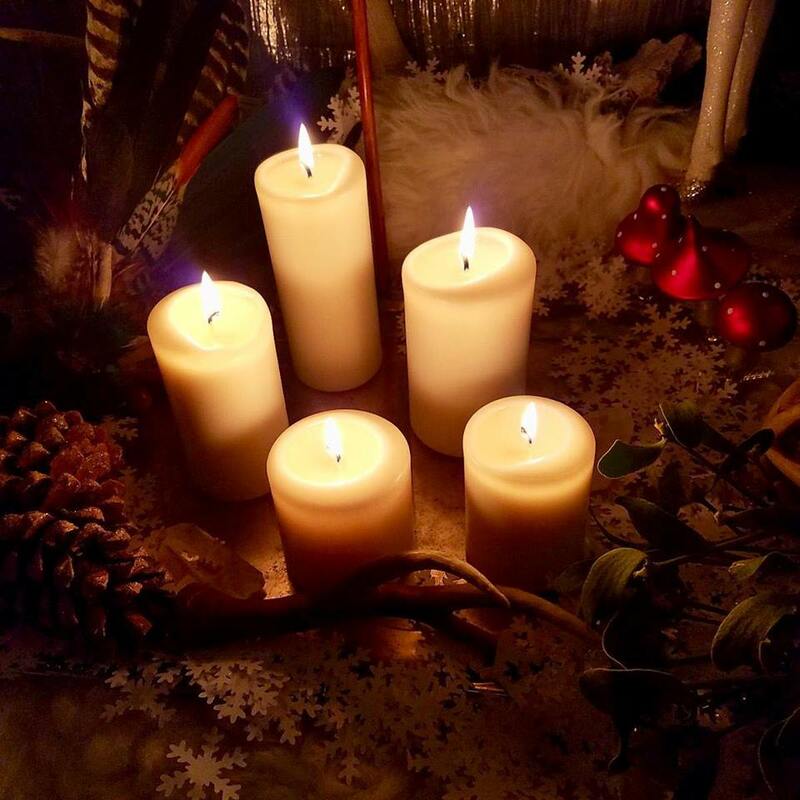 With mindful intention, we engage with magick and ritual for the purpose of our own empowerment and personal growth as well as for the healing of our world, our holy Earth Mother. Our Women’s Lunar Rites is a circle inclusive of all women who wish to honor Goddess in Her Infinite Forms, explore Women’s Mysteries, and celebrate the phases of the Moon in a safe container with other women. Solar Tribe is an “All Hearts Welcome” open circle celebrating the eight High Holydays of the Wheel of the Year. These rituals are open to all people who seek connection within the loving embrace of the Mother Goddess. A circle for all children under 12, our Honey Hive is designed for those who are our future; here we practice ritual skills though sacred play, art, song, and dance. All of our rituals are learning circles and all levels of experience are always welcome. We charge you to bring your Authentic Self to every gathering. Together may we remember, remember, remember! Our Priestesses are Sacred Guides and Guardians, dedicated to the Goddess Path and trained in these sacred, ancient Arts. The Goddess is alive, and magick is afoot! Join our caring, supportive community around the Altar of the Goddess at our Solar Tribe for All circles, our Women’s Lunar Rites, and our children’s Honey Hive. These 22 open, experiential ritual circles are carefully—and expertly—crafted by our seasoned Priestesses to cultivate sacred spiritual experiences that create space for Divine connection and quiet reverence, joyful mirth and deep magick, and ample opportunity for inspiration, growth, and self-empowerment. We invite you to learn more about all of our upcoming open gatherings and join us in honoring and celebrating She of Infinite Names. You are most welcome here, Dear One!